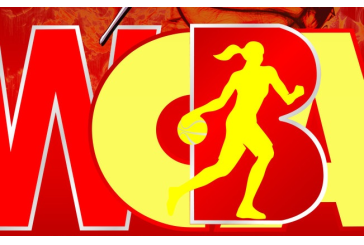 Like its American cousin, the women’s branch of the Chinese Basketball Association (WCBA) doesn’t really get much mainstream media coverage. Games are sparely attended or rarely reported upon and the whole thing feels like it’s just a testing ground for players trying to get into the national team. This means when a WCBA story makes the front pages, it’s either because Maya Moore (who plays in China for the Shanxi Flames) has gone off for 50+ points or because something very bad happened. Typically though, it’s for negative reasons and lo and behold, some pretty remarkable images from the WCBA ran on Sunday’s front pages. During a game between the Zhejiang Bulls, who were on the road against the Sichuan Whales (both WCBA teams share the same nickname as their CBA counterpart), the home side’s players reacted angrily to a hard foul from the Bulls. In an already bad tempered contest, the cheap shot was enough to clear the benches and blows were exchanged. The story of the fight dominated the recapping of Chinese basketball that day, leading all stories on Sina Sports and also was prominently featured on Sohu’s videos of the day. Both teams will be heavily sanctioned for the incident, which resulted in multiple players receiving injuries. Sichuan were winning the game 81-50 but the result has been wiped off the books due to the game being cancelled. Yet remarkably, the Sichuan/Zhejiang fight has not been the most headline grabbing story in the WCBA this season. A few hours after the throw-down in Chengdu, China’s basketball federation announced that the Heilongjiang Shenda WCBA team had been suspended from participation in the league for twelve months. The punishment had been handed down after Heilongjiang refused to play an extra-time period against the Bayi Rockets in protest of what they perceived as especially bad refereeing. Moreover, both these events come barely a month after Britney Griner was attacked by a drunken stranger who managed to slash the American with a knife before being apprehended by police. For Zhejiang, one of the teams likely to eat a punishment as a result of the fight, this probably will be the lowest point in an already awful year. In the preseason, it emerged that their coach Li Xin was being suspended with immediate effect following allegations of player mistreatment. It soon emerged that she had conducted a campaign of intimidation that involved violence and verbal humiliation. Li, a notoriously fiery figure, remains the only woman in the history of Chinese sport to coach a professional mens team (the Beijing Olympians in 1997/98) but would be sacked less than a year into her contract. But Zhejiang would still have to buy out Li’s contract to get her to leave, which meant more financial losses for a team that had not played a WCBA game in front of their home fans for over a year. This was because in January 2013, Zhejiang were seemingly banned from playing home games in the city of Yiwu after a riot during one of their WCBA Finals game against the Shanxi Flames. Following a controversial series of decisions in a 96-92 home loss, Bulls fans rushed the court at the final buzzer to attack the referee, who in turn had to lock himself in a storage cupboard to avoid a severe beating. But it is not just Zhejiang that are existing in a mix of farce and misery. Even before all of this drama, life in the WCBA has been fairly dire for a while. For local players, making a few hundred dollars a month is considered a very good salary whilst the shades of glamour that have started to creep into the CBA are still non-existent in the women’s game. With low attendances and varying levels of funding and professionalism, the WCBA has begun to flounder. This is despite the success of the women’s national team, who have come home with a medal from every Asian Games since China re-entered the international sporting community in 1974. Low publicity has been so bad that as far back as the league’s ten-year anniversary in 2011, it was being suggested with a straight face that certain WCBA players should pose for calendars to help the league garner more attention. As the increasingly cocksure twentieth year celebrations for the CBA begin to pick up, its unclear what the WCBA’s fifteen-year anniversary will look like 2016. It’s possible that the league might not even be around by then, despite the fact that certain teams have enough internal funding to recruit WNBA stars like Moore. In the meantime, all that China’s only women’s league can hope for is a change of heart from the local basketball viewing public. That, though, seems unlikely given that the only time they make national headlines, its for all the wrong reasons.